This 2-Day competency based WSQ course is a follow-up course to the CC-350 Implementing Crisis Communication Plan course. 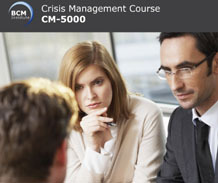 Participants are required to have attended and completed the CC-350 Implementing Crisis Communication Plan before attending the CC-450 Executing and Managing Crisis Communication Plan course. Completion of the 2-Day course also allows participants to achieve an internationally recognised Crisis Communication certification, i.e. the Crisis Communication Certified Specialist (CCCS)* certificate. 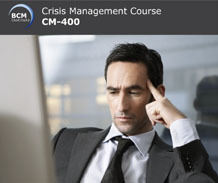 The Crisis Communication Certified Specialist (CMCS) certification is awarded to participants who successfully completed the 2-Day CM-450 Executing and Managing Crisis Communication Plan course, attend the last day of the Crisis Communication Manager’s Course and pass the Qualifying CMCS examination. Examinations are only applicable if participants opt to attempt the Qualifying CMCS examination at SGD 200. SGD200, applicable only for participants who attempted and passed the Qualifying CMCS examination and fulfil the CMCS certification requirements of having a minimum of 1 year of Crisis Communications experience. SGD 250 for the Qualifying CMCS examination fee.